Saunders Mertens & Schmitz, PA is a comprehensive small business consulting and accounting firm providing Audits, Tax, Succession and Estate planning for individuals and small businesses in Renville County and surrounding area. From its beginnings in 1978 as an income tax and bookkeeping service in Bird Island, it has grown to a two partner six member firm providing a wide variety of services to the growing businesses of Renville County. The growth of Saunders Mertens Schmitz, PA can be attributed to progressive businesses to which we are providing needed services at reasonable costs and the consolidation or purchase of other firms in Bird Island, Hector and Buffalo Lake over the years. Saunders Mertens Schmitz, PA attributes its great success to the progressive small business owners they serve and the caring communities where we live. We feel the need to give back to our communities and the partners of Saunders Mertens Schmitz, PA gladly serve on or have served on many boards and committees ( BOLD School, Play Island, Church, EDA, and C&C). Our mission is to help clients maintain financial viability in the present, while taking a proactive approach to achieve future goals. This requires open communication to reach an understanding of our clients' needs through research and sound analysis. Saunders Mertens Schmitz, P.A. is dedicated to meeting these goals with high standards of excellence and professionalism. We have been a staple of the area's business community for years, and pride ourselves on the level of esteem we have earned. Our dedication to hard work has earned the respect of the business and financial community in and around the area. We believe this to be a direct derivative of our talent and responsiveness to our client base. Whether you are a current or prospective client, rest assured that individuals and businesses who choose Saunders Mertens Schmitz, P.A. receive competent and timely advice. 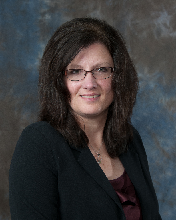 Laurie is a partner with Saunders Mertens Schmitz, PA with fifteen years of public accounting. Laurie uses her knowledge to provide auditing, accounting, consulting and tax planning and preparation services to businesses and individual clients. Laurie is a member of Minnesota Association of Public Accountants and the Minnesota Society of Certified Public Accounts. She is active in the community and volunteers with several local organizations. Laurie lives in Olivia with her husband Bil and two daughters, Ashley and Morgan. 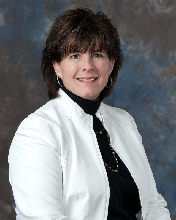 Dawn is a partner with Saunders Mertens Schmitz, PA. Dawn has XXXX years of experience in accounting with the last XXXX years of that being in public accounting. OTHER FLUFF HERE Dawn is a member of Minnesota Association of Public Accountants and is also active in several local committees and organizations.